At Young America’s Foundation’s 40th annual National Conservative Student Conference earlier this month, the Young Americans for Freedom at University of Wisconsin–Madison were named YAF Chapter of the Year. I could not help but write to you and share my enthusiasm and congratulations for a job well done. By standing up for the ideas of individual freedom, limited government, and free enterprise at the University of Wisconsin–Madison, you each are taking your place among the very best of conservative activists advancing the cause of freedom among future generations of leaders. Without your efforts it will become hard to preserve and expand the freedoms with which our country has been blessed. I myself first came to appreciate Milton Friedman during my undergraduate career at Yale University, and my time in college helped me lay the foundation for my professional career. I wish you great success as you continue to carry the torch of William F. Buckley into the new academic year. 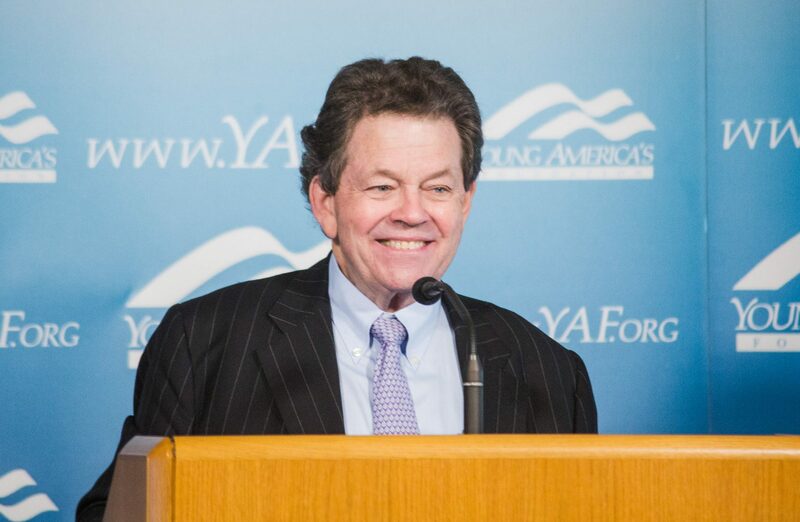 Dr. Laffer is a longtime member of YAF’s campus lecture program and is currently on a nationwide tour. Dr. Laffer’s partnership allows the Foundation to make significant inroads on college campuses with free market solutions and conservative ideas. YAF is proud of the success of UW YAF as noted by Dr. Laffer, along with the significant victories claimed each year by Young Americans for Freedom chapters across the country.